When you need service for your commercial or industrial door in the Coos Bay area, do what most business owners already do. Call American Industrial Door today! American Industrial Door has been servicing businesses and their garage, service and fire door needs for over a quarter of a century and that means we have the experience and knowledge to get the job done right. Commercial and industrial doors need to be made thicker and stronger than your traditional residential door and that is because they have to withstand much more use and abuse. In addition, these doors need to be installed and maintained by a technician who is experienced in commercial door installation so that you can be sure everything is done to the level of safety and satisfaction that you want for your company, your employees and your customers. At American Industrial Door, we even understand the specific needs that business look for when in certain locations, such as the salty air of Coos Bay. When you need a new door, a door repaired or a maintenance checkup of any kind of industrial or commercial door, call American Industrial Door of Coos Bay. More business owners in Coos Bay contact us for their door service needs because they know we can offer them a wide array of doors, from all types and styles and sizes. We have experience with internal and external doors, sliding doors, rolling doors and even fire and safety doors. Whatever your industry is, we are confident that we will find a door that fits your business needs and will keep you going on the successful path you have worked so hard to achieve. While we work with every kind of door out there, here are the most common commercial and industrial doors that we have installed and repaired. • One Piece or Sectional Doors. These are doors made from either a solid piece or sections of pieces and lift up to be secured above. They are not as common as they once were, but we are experienced in the repair of these doors. • Roll Up Doors. These doors are often found in places where you still need some visibility and sound, but closing off the space is important. They and are designed to roll up and be stored above the opening. These are also sometimes referred to as service doors. • Counter Doors. These doors are typically used indoors, as they are lightweight and made to easily open and close over a counter top where security or protection from elements is necessary. They are the type of rolling door that often find in windows of pharmacies and concession stands. • Security Grilles. These doors do not close off a space, and are not often thought of as doors, as they are made of slats you can see through. However, they are usually installed places such as malls and schools where security and closing off a section of offices is necessary. They are versatile, since they are made to slide up and down or side to side. At American Industrial Door of Coos Bay, we understand that a small town business like yourself prefers to do business with a company that holds those same small town values true. 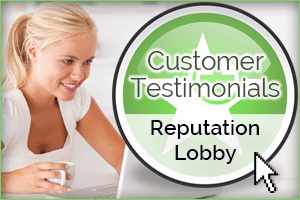 Even though we are the best at what we do and have the highest level of training and experience in the area, we still believe in treating each customer like a friend and that includes a high level of customer service, no matter how large or small the job is. We are proud of the service we offer our customers and do not skimp on any detail of the process, from the start of each job to the finish. When you trust in American Industrial Door, you can expect to receive a detailed description of the work we plan to do, how much it will cost and how long it will take so that your business can plan around those details. We understand that not all repairs can wait until a more convenient time, so we offer same and next day service along with emergency 24 hour a day service so that your business can go back to being safe and secure sooner than later. 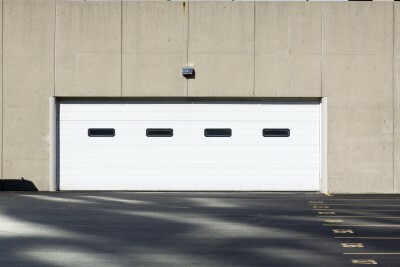 Our service technicians are trained in all aspects of garage, service and fire doors so that you can be sure that whatever you need, we have an answer and a skill to fix it. When your business needs any kind of commercial or industrial door service in the Coos Bay area, call American Industrial Door every time.